1 Piece - 8" X 12"
1 Piece of 8" X 12" Adhesive ONLY, which we will back onto an 8" X 12" piece of felt, fabric felt, or chunky glitter that you will ALSO need to purchase separately within the same order. We CANNOT ship the adhesive without backing it to another material. Finally, a high-tack adhesive strong enough to bind felt to felt! Now you can add adhesive backing to any of our wool felt, whether it be our fabric felt, printed felt, traditional 100% merino wool felt or even our chunky glitter. Our adhesive backing is the perfect solution for projects like making banners and hair clips. It helps reduce the time you spend gluing and removes all the mess that comes with using fabric glue and hot glue guns - no more wet or stringy mess! How is our adhesive tape different? * It's made by 3M, a trusted household brand. * It's high-tack with a great hold on initial contact. 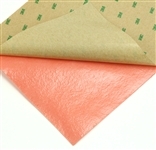 * It's permanent and will stick to most surfaces such as metal, felt, fabric, paper, etc. This is a pressure sensitive adhesive. You will need to fully activate the adhesive by giving it a good squeeze on the two items being bonded together. Leave item to cure for at least 48 hours for hold to become permanent. 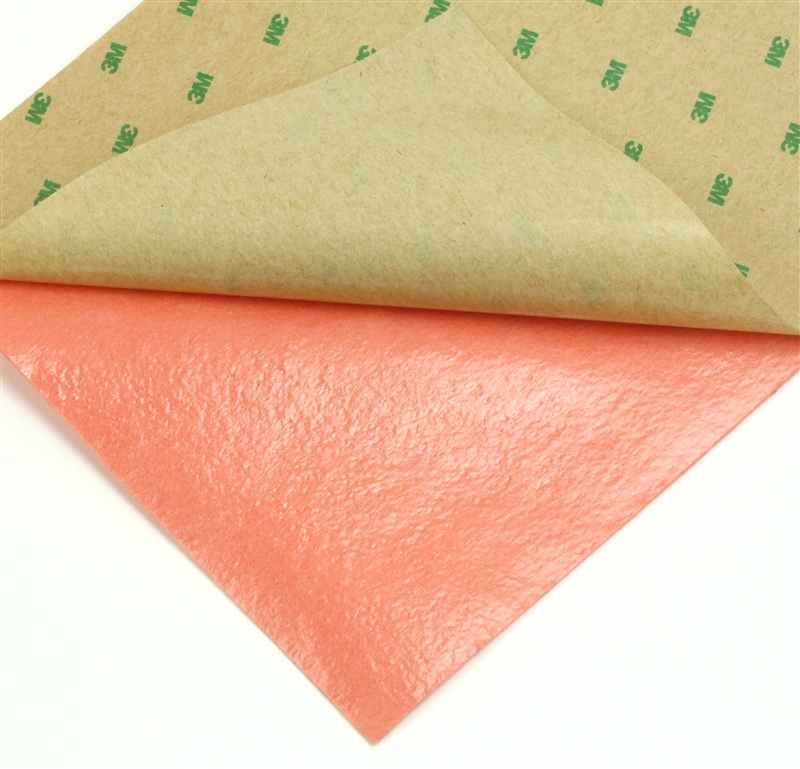 Add the 8" X 12" sheet of choice into cart, which may be our traditional wool felt, a printed felt, a felt backed fabric, and even our chunky glitter. Then add the adhesive into shopping cart. When you check out, please leave a very specific note telling us which one of your item(s) you want us to back with adhesive. Example: "Add adhesive to Black Polka Dot Printed Felt." Your order will be delayed if you don't leave a note as we will need more time to correspond with you to collect all the necessary information. We can only back felt or glitter that are 8" X 12" (or 9" X 12" chunky glitter). * Since the adhesive is sticky, your scissor may become sticky. Try using an inexpensive pair of scissors dedicated to cutting adhesive. 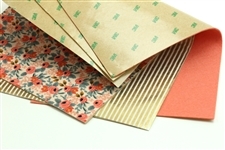 * The adhesive backed felt can be die cut. While we die cut adhesive backed felt in our facility and have not had any issues, we do not guarantee that it will not damage your die. Use at your own risk. * Do not wash. This adhesive and the fabric that it's being backed onto are not meant to be washed. * The Felt Pod is not responsible for the outcome of projects using this adhesive. Test before use. * The adhesive sticks to felt, metal, and canvas. 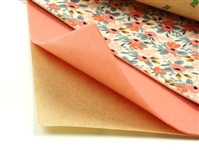 It will bind canvas (e.g., back side of chunky glitter sheet) to felt but it CANNOT bind to the glitter surface itself. Since the chunky glitter can flake off and the surface is not smooth, the adhesive will not have a strong enough hold to be permanent. ALL SALES FINAL for this product. Since this is a custom bond we are doing for your fabric choice, we do not offer any returns or exchanges to the bonded items.